The world is evolving. In the future, services like calling and texting will take place entirely over internet data connections. Gone will be the days of phone numbers. Soon we’ll all have usernames. Why wait to make the transition? Over the last few years, a number of great services have popped up that lets you message other people without using SMS. A few of them even offer voice calling, video messaging, and other communication services. Which one is right for you? That’s the question we hope you’ll find the answer to below. If you’re here looking for SMS apps to replace your stock SMS app, you’re looking for our best SMS apps list. A lot of people have counted BBM out. It’s an older platform and it was late to the multi-platform party so it’s understandable. 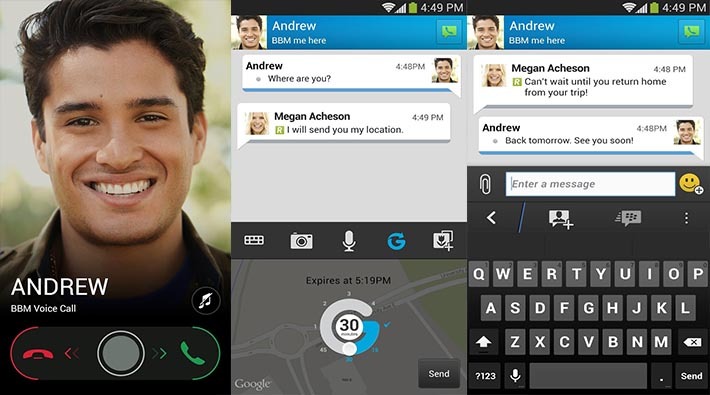 Despite that, BBM is a robust and functional platform that has a lot of desirable features. With a recent update, it’s also added voice services and chat rooms on top of its messaging and picture messaging services. It’s a very solid choice even if it doesn’t have some of the more “fun” features that these others have. Cubie is more focused on photo sharing than actual messaging, but it’s still a pretty competent messaging service if photo sharing is your thing. Along with photos, you can also engage in text chats with fun things like stickers and emojis. The features also include voice calling and video messages. It includes some unique features as well like sharing YouTube videos and letting you watch them with people in your chat room. It’s competent as a messaging service and one of the more colorful and fun ones on the list. We know many of our readers don’t like Facebook Messenger but no one can deny Facebook’s ridiculous reach. Practically everyone who has access to the internet has a Facebook account. That makes this chat service practically ubiquitous. Even people who aren’t keen on non-text chatting can get into this fairly easily since their friends and family likely already have Facebook accounts and, thus, have access to Facebook Messenger. In terms of sheer features, it’s among the weaker ones on the list but it does still have things like emojis and stickers. GroupMe focuses more on group messages than individual chats which is nice if you’re always chatting with a lot of people at once. GroupMe comes with some fun features like in-line photo sharing, location support, private messaging, and the ability to seamlessly transfer to SMS when your connection is too weak for data connections. It’s a solid service albeit one of the more obscure ones when compared to the mammoths on the list. It’s free so that means it’s worth a look! If you own an Android device –and if you’re here chances are that you do– then Hangouts is among the best options available. It uses your Google account which you pretty much have to have in order to use Android and that means everyone you know with an Android device is already set up to use this service. The app supports group chatting, emojis, live video chatting, and MMS support (including gifs). It’s also quite handy that this app has SMS support as well so you can still use it to text people while you either convince them to switch to Hangouts or if they decide that they don’t want to. KakaoTalk has been growing in popularity. Particularly outside of the United States. It’s currently used by over 130 million people worldwide. There’s a reason and that’s because it offers a lot of free stuff. You can send free messages including photos, videos, and voice notes as well as make free phone calls. It even lets you filter your voice to sound like Talking Tom and Ben if you’re into that kind of stuff. It’s a reliable, trustworthy service and definitely worth your attention. The first sentence in LINE’s Google Play description says it all. There are no limits. As you can imagine this translates to free voice calls and free messages whenever you want. The simple, yet powerful slogan seems to be working as 350 million people around the world use LINE as their messaging service of choice. Like Hangouts it offers video calling which is an added bonus. It’s also one of the few apps on the list that has a stand-alone desktop app if you want to keep chatting on your computer. There are plenty of reasons to consider it and not many reasons not to. Maaii is an up and coming competitor that is actually closer to a competitor of Skype than anything else. You can make free voice calls to other Maaii users and for a nominal fee you can all any regular phone number. It also comes with voice and video mail which is pretty unique on this list. Of course, it also comes with messaging which is why it’s on this list. It’s not totally free like some of these options but the features you pay for are things you’d have to pay for on other services anyway. MessageMe is another up-and-coming messaging service that boasts over 5 million users to date. In terms of features, there isn’t much that sets MessageMe apart from many of these other ones. You can send unlimited messages to other MessageMe users, share photos, videos, and voice messages, and it comes with emoji support. MessageMe boasts a more simple messaging experience and thus it works best for people who want something a little lighter. Skype is one of the juggernaut apps to make the list. Like Facebook, Skype is pretty much ubiquitous. Everyone knows what it is, what it does, and how it works. It allows for messaging support and users can even log into Facebook and use it as a Facebook Messenger platform. It supports chat, voice calls, video calls, and it’s all free as long as it’s to another Skype user. It’ll cost you a bit of money when it’s not to another Skype user. It’s a powerful platform with one of the best desktop apps available. The mobile app still needs some work but it is improving slowly. 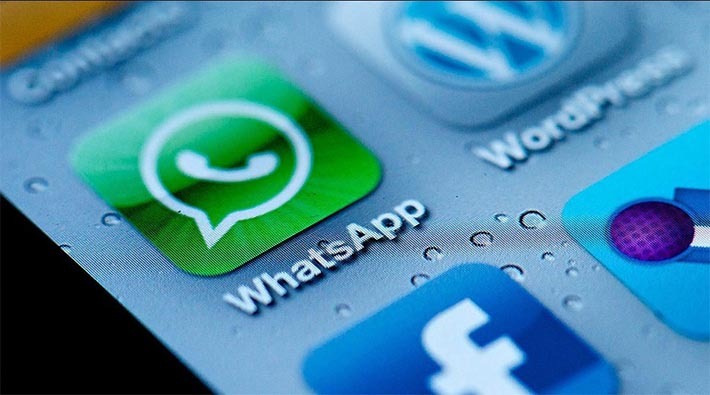 Let’s face it, when you searched for this list you were probably looking for an alternative to WhatsApp because that’s what everyone seems to be using these days. There’s a reason and that’s because WhatsApp is stable, popular, and cheap. Their pricing is very easy. The first year is totally free and then you pay $0.99USD per year. That’s it, one dollar. What makes WhatsApp unique is that it actually uses your current phone number as a user name so there’s nothing new to remember. In addition, it works with your current address book. When it comes to moving away from text messaging and into the data-only realm, this is pretty much the best first step you can take. Viber is another one of those apps with a ridiculous number of users at about 200 million. The features are pretty standard and include texting with your friends, free HD phone calls, sharing photos, videos, and voice messages, and more. Like MessageMe above, Viber keeps it pretty simple. There is sticker support but it’s optional. If you need something simple to make that transition easier, this is a great option. If you hadn’t yet guessed, Voxer’s unique feature is walkie-talkie support and push-to-talk (PTT) support. With the death of Nextel, PTT has been harder to find on a reliable level and Voxer is about as good as it gets in this area. Aside from that, there is also text messaging, location sharing, save voice messages to listen to later, create offline messages, and Facebook support. This is also great for people on slower networks because Voxer is optimized to work with those. If you need PTT or walkie-talkie support, this is really the only viable option for you. WeChat may be all the way down here at the bottom of the list, but we assure that’s only because this list is (mostly) in alphabetical order. WeChat is a powerful chat platform that supports voice and video calling, text messaging, emoji support, walkie talkie mode, and photo and video sharing. It’s also another of the more ridiculously popular options with 300 million users worldwide. There’s really not much else to say about it. It works, it has the important features, and it’s free. That’s a winner in our book. It’s inevitable that texting and traditional phone calls are going to be phased out by these services. While we understand that you can’t just quit doing them, we highly recommend you at least start using one of these services to make the transition easier when it inevitably comes down to that. There are dozens of services out there and there is every possibility we may have missed one or two. If we did and you want to tell us about it, please let us know in the comment section. Hundreds of millions of people are already using these services and the more the merrier!